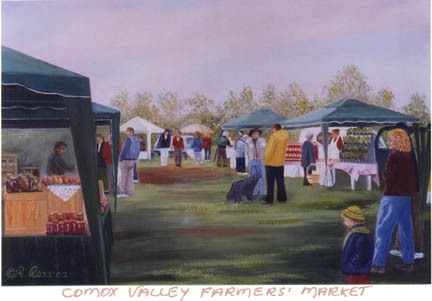 This is of the Courtenay Farmers' Market which has just celebrated its 10th anniversary, on canvas size 14 X 16 painted by Rhoda Nov. 2002. 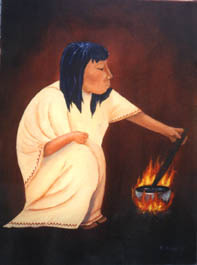 These 3 paintings are part of a set of Guatemalian Peasants taken from one black & white print, on canvas size 24 X 12 painted by Rhoda Feb. 2002. This page has had visits/hits times since Mar. 1, 2002.